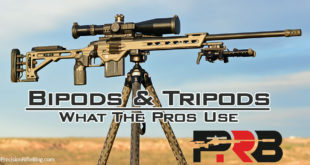 This post covers the gunsmiths the best precision rifle shooters were using in 2014. The data is based on a survey of the top 50 shooters in the Precision Rifle Series (PRS). The PRS tracks how top competitors place in major rifle matches across the country. These are the major leagues of sniper-style competitions, with targets typically in the 300-1000 yard range. This is the 3rd year we’ve collected this data. 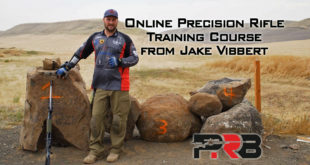 For more info on the Precision Rifle Series and who these guys are scroll to the bottom of this article. GA Precision had another strong representation this year among these elite sharpshooters. It takes the next 3 companies combined to equal more rifles than what GAP built. This is the 2nd year GAP was represented as the #1 gunsmith. No surprise, right? When you guarantee your rifles will produce 0.375 MOA groups or less with factory match ammo … you’re confident in the product. I haven’t heard of another gunsmith that stands behind their products with a published guarantee like that. If you have, enlighten me in the comments. While that article was actually talking about John Paul of JP Enterprises, you could have just as easily filled in the blanks with George Gardner, President/Senior Rifle Builder at GA Precision. Not only did George personally finish in the top 25 for the 3rd year in a row, the GAP Team also had 5 shooters represented in the top 10!!! Short Action Customs sprang onto the scene with a vengeance. Although this was their first debut into the PRS world, they had 4 rifles represented among the top 50 shooters, which says a lot. SAC is headed up by Mark Gordon, and they’ve been cranking out precision rifles full-time since 2010. They obviously are already performing, because they leapfrogged some legendary names. One of the more surprising changes in this year’s data was the diminished popularity of Surgeon Rifles. I can’t speculate as to why that might be, because the company seems to be thriving at their new facilities in Phoenix. One related note is that Surgeon did reopen sales of their bare actions again earlier this year, which allowed other gunsmiths to start building on their actions. For the past few years, if you wanted a Surgeon action … you had to buy a complete rifle from Surgeon Rifles. There were still a significant number of shooters using Surgeon actions, which I’ll cover in the next post. Whatever the reason, there was a 66% decrease in shooters running Surgeon built rifles compared to previous years. Accuracy International had 3 rifles represented in 2014. There seems to always be one or two AI rifles represented within the top 50 shooters. AI builds world-class rifles that are used by snipers from over 60 different countries. They’re a company that is 100% focused on building sniper rifles. Desert Tech was another company that made a grand entrance this year. There were 3 shooters sporting Desert Tech’s innovative bull-pup chassis, and at least two indicated on the survey that the gunsmithing was a combination of Desert Tech and Benchmark Barrels. I believe the barrels were threaded and chambered by Benchmark Barrels, and the action and chassis were from Desert Tech (previously Desert Tactical Arms), who also did the assembly. Here is just one photo of this advanced chassis, and I plan to include a more pics in the post focused on the most stocks/chassis in the PRS. The same comments mentioned earlier about good things happening when owner is a competitor holds true for Wade as well. He’s been competing for 15+ years! For those of you that are new, there aren’t many that go back that far in this sport. For the first 5 of those years, it must have been mostly a two man match between Wade and Terry Cross! 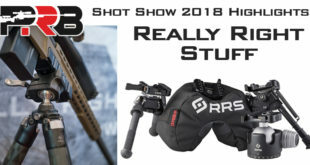 While Wade’s company hasn’t even had its 1st birthday yet, he managed to crank out at least 3 rifles used by top 50 shooters … in fact all 3 Stuteville Precision rifles were used by shooters who finished in the top 20! GA Precision and Surgeon Rifles have clearly separated themselves from the rest of the pack. These two juggernauts have dominated the precision rifle world for the past few years. But there seem to be a lot of small companies springing up, with hopes to keep those guys on their toes. 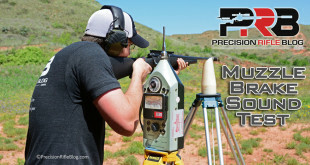 GA Precision – These guys top this list as well. I think I’m beginning to see a pattern here! It’s hard impossible to argue with the results those guys are putting up year after year. GAP bolt action rifles are guaranteed to shoot at least 0.5 MOA groups with factory match ammo, and their Crusader rifle is guaranteed to shoot 3/8 MOA (i.e. 0.375 MOA)! That is a bold guarantee! Surgeon Rifles – Although they didn’t have as many rifles represented in 2014, they’re still considered by many to be one of the premiere rifle companies in the world. They are more narrowly focused than some custom rifle gunsmiths, because they only offer a limited number of cartridges. However, this does include most popular precision rifle cartridges: 223 Rem, 6XC, 260 Rem, 6.5 Creedmoor, 6.5×47 Lapua, 6.5×284, 284 Win, 308 Win, 300 Win Mag, 300 Norma, 338 Lapua, 338 Norma. This is probably most of the cartridges, but not an comprehensive list … so check with those guys if your cartridge isn’t listed. All of their rifles are guaranteed to shoot 0.5 MOA right out of the box. Parry Custom Guns – This small shop had at least a couple rifles represented each of the past 3 years. Parry Custom Guns is a one man shop in a tiny town in Oklahoma, and they specialize in rifles designed for PRS style matches. Each rifle is handcrafted to the same exacting standards with strict attention to detail for maximum accuracy. Crescent Customs – Crescent is headed up by Tim “Moon” Roberts, who was a Senior Custom Rifle Builder at GA Precision for several years before starting his own shop. Moon has had at least a couple rifles represented within the top 50 shooters in the PRS each of the past 3 years. Moon has an outstanding reputation in the long-range rifle community. 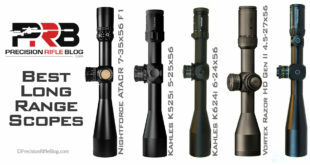 Louisiana Precision Rifles – This precision rifle shop is ran by William Roscoe. 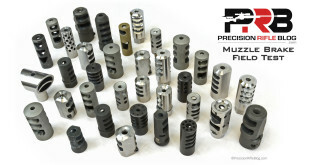 LA Precision had rapid growth primarily from word-of-mouth recommendations in the precision rifle community. So much so that in 2013, they looked up and had a backlog of 100+ rifles and a wait time that extended beyond 1 year. William said he didn’t feel right continuing to take deposits from customers knowing he had such a long turn-around time, so he took down their website. In conversations with William in July 2015, he said at this point he plans to only build rifles for friends and repeat customers. That’s sad news from such a respected gunsmith, but a responsible move that I can respect. UPDATE Nov 2015: I just got word from William that his website is back up and he is now taking orders again! Accuracy International – AI is world-renown for their super-accurate rifles. The company founders includes a gold-medal Olympic target rifleman, so accuracy was never an afterthought. While AI doesn’t offer 100% custom rifles (limited cartridge and package choices), they’re far from a standard factory rifle as well. Accuracy International rifles are used by snipers in over 60 countries, including many of the most prestigious military and law enforcement agencies in the world. AI is a company that has never made anything but sniper rifles, they do that with intense focus, and turn out outstanding rifles. ZG Customs – Tony McCollum, tony@master-builder.net. Sorry, this is all the info I could find on ZG Customs. If you know more, please leave a comment. 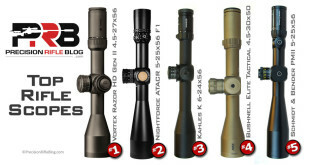 Short Action Customs –SAC is headed up by Mark Gordon, and they’ve been cranking out precision rifles full-time since 2010. They are an ambitious young company that is obviously already performing at a high level, because they’ve leapfrogged some legendary names on this list. Here is their view: “We are never satisfied with the industry standard. Our business has been founded with the principal that everything can be improved upon. Techniques, tooling, fixtures, and execution can all be refined to the point of perfection. With every service and detail we perform, we apply this philosophy.” As a question-everything kind of guy myself, I can appreciate that approach! 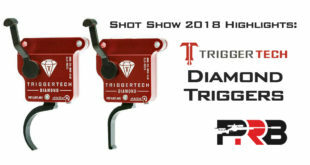 Desert Tech – These guys have recently rebranded, but were previously known as Desert Tactical Arms (DTA). 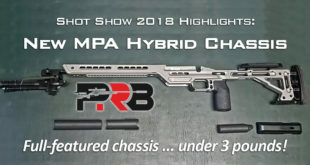 They’re probably best known in the precision rifle world for their unique bull-pup design (see pic earlier in this article). This design can make the rifle almost 1 foot shorter than conventional bolt action rifles with the same barrel length. At least a few of the PRS shooters that said they were running a gun built by Desert Tech indicated that the gunsmithing was a combination of Desert Tech and Benchmark Barrels. 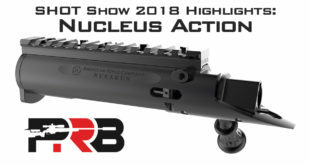 I believe the barrels were threaded and chambered by Benchmark Barrels, and the action and chassis were from Desert Tech, who also did the assembly. Desert Tech offers a few standard cartridge choices, but they aren’t a complete custom shop like some of these other gunsmiths. Stuteville Precision – Earlier this year, Wade Stuteville resigned his post as General Manager at Surgeon Rifles and opened Stuteville Precision. He was involved with Surgeon since its inception, including product development, testing, and evaluation, and as a gunsmithing process advisor before serving as the GM for the past few years. Here is a description of Wade from a guy who knows him well: “Anyone who knows Wade or has run into him at any match, knows that he is a walking encyclopedia of anything guns. 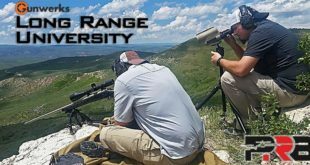 He not only knows all of the technicalities and mechanics of things that make rifles tick, but he also knows real world information that comes from having put tens of thousands of rounds down range, in practice and competitions all around the United States. Affectionately called E.F. Hutton by his friends, because he is always able to give the answer to most any question, and can explain it in a way a 5 year old could understand.” Wade has been competing for 15+ years, and is a perennial top performer in the PRS … and won 1st place overall in the 2012 PRS season! Even though the company is still less than a year old, Wade built 3 of the rifles used by the top 20 PRS shooters this season. TJ’s Gunsmithing – This shop is operated by hunters and competitive shooters, with over 20 years experience. They offer the full gambit of gunsmithing services, from refinishing dad’s old shotgun, to tuning a cowboy action revolver, or building an AR-15 for 3-gun competitions. 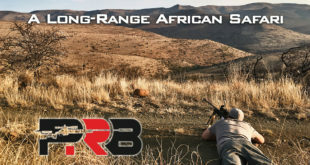 R Bros Rifles – Travis Redell is a very professional gunsmith completely focused on building world-class precision rifles. He opened R Bros in 2008 (the other brother isn’t involved as of now). They offer several packages, but will also gladly build a completely custom rifle to your exact specifications. One unique aspect to R Bros is that they communicate with the customer during the build process to keep them updated. 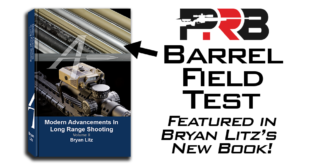 Barrel break-in, accuracy testing, and load data is included with every rifle at no additional charge. Every rifle is guaranteed to 1/2 MOA accuracy or better. Travis said they “have not had any that wouldn’t meet those standards easily.” This even includes his larger caliber magnums and their lightweight hunter rifles, which is pretty amazing. DMFJ – Sorry, I’m not sure who this is. If you know, please leave a comment. 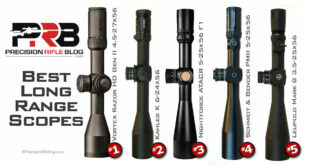 Spartan Precision Rifles –This is another shop focused on precision rifles. 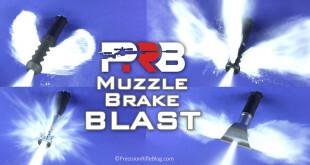 They primarily offer precision bolt action rifles for competition shooters and experienced hunters. 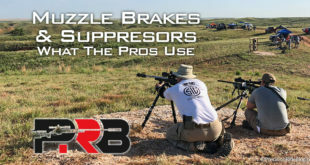 Roberts Precision Rifles – Aaron Roberts is the gunsmith behind Roberts Precision Rifles. His professional shooting background started in the US Special Ops as a Ranger and on the Long Range Surveillance Detachment. He later served as the Captain of the elite Blackwater Training Center Shooting Team. In case you don’t know, that’s serious. 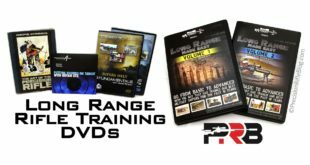 While at Blackwater, Aaron was responsible for designing and implementing some of the most current and comprehensive shooting and tactics programs ever created. Aaron says their desire at RPR is “to do work correctly and build to spec. If the spec calls for 1.0625; that means it’s not 1.0599 or 1.0632; it’s 1.0625.” Wow. Southern Indiana Precision – Sorry, I couldn’t find much info on this gunsmith. If you know something about them, please leave a comment. Newman Precision – Sorry, I couldn’t find much info on this gunsmith. If you know something about them, please leave a comment. Have you bought a rifle from any of these gunsmiths? Is there another gunsmith you have a lot of confidence in? Share your experience in the comments. I purposely left out the location of each gunsmith. Please don’t let geographic proximity influence your decision. Go with one of the top rifle builders in the country. I’ve seen lots of shooters go with the convenience of a local gunsmith for their 1st custom rifle, only to regret that decision later. If you live in the US, and the gunsmith is in the US … it is easy to transfer firearms between states. When you are looking at spending $4,000+ on a custom rifle, choose the best gunsmith possible (regardless of how far his shop is from your house). Just pay the $90 shipping charge and $25 transfer fee. Look at it as cheap insurance against disappointment. One more heartfelt tip: a good gunsmith always has more business than he can handle. While nobody likes to wait several months on a rifle … you should. If you find a gunsmith with a quick turnaround time, there is a reason he isn’t in high demand. Think about it. This may be a hard pill to swallow, because of the I-want-it-now, Amazon-next-day-delivery culture we live in, but I highly recommend you don’t let build time influence your decision either. New people to this sport might be used to going to a local sporting goods store and buying an immediately-available, off-the-shelf rifle that you can touch and hold before you hand over your hard-earned cash. It’s hard to let go of that buying habit, especially when you’re spending a few thousand dollars. But you have to let go of that. If you want a rifle like you’ve never experienced before, it’s reasonable that you may have to buy it differently than you have before. Not all rifles are created equal. The gunsmith matters … a lot. Many shooters get intensely focused on components like the brand of the barrel, action, and cartridge (which aren’t unimportant). But sometimes we get so focus on what pipes we’re using that the plumber is almost an afterthought. Precision components don’t equate to a precision rifle. Precision components + highly detailed precision gunsmith with the best equipment = precision rifle. That’s the equation. There are no shortcuts. The top 50 shooters in the PRS are certainly some of the most demanding precision riflemen in the world. 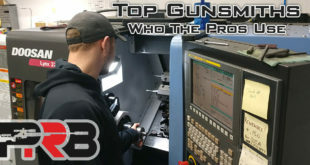 While this isn’t a comprehensive list of the best custom rifle gunsmiths in the world, it is a darn good place to start. Good ol’ Matt Perry. I have the pleasure of shooting with him on a fairly regular basis. Great dude. Definitely a character. Is that the gunsmith behind Parry Custom Guns? I didn’t ever see a name. If a good friend was about to buy his first custom precision rifle, would you tell him he had to go see Parry? Yeah I guess if I’m gonna say I know a guy I should probably spell his name right! But anyway, yes Matt Parry is the man behind Parry Custom Gun. One of the nicest guys you’ll ever meet. He is a member of the OPPS club here in Oklahoma which is how I know him. He does a lot of work for the shooters in the club. I’m thinking about putting a new rig together in 6mm and I plan to give the work to Matt. My other two rifles were built by GAP so I know what great work looks like. I would recommend Matt for sure. Awesome … thanks for the feedback. Good to know you’re personally trusting him with a precision rifle. And … you seem to be one of hundreds I’ve heard that were very pleased with their GAP rifle as well. That company is leaving a legacy it seems like. It’s tough for companies to maintain a commitment to excellence for that long, but it seems to be happening over there at GAP. I’m always looking forward to the next subject reviews. I do appreciate all the efforts it takes giving us all this information. Thank you! Thanks, Tony! Good to know I’m keeping your interest. Seems like I have more good ideas for posts and different tests I’d like to run than time in a year! I’m not familiar with Tac Ops, but that link you included is pretty awesome. They even said “Every TacOps rifle we have fired has not had a problem breaking .25 as they guarantee.” They even included that sick 0.092 group. When a rifle shoots in the 0’s … that is a special gun. I’d suspect there aren’t many tactical rifles in the world that can do that. 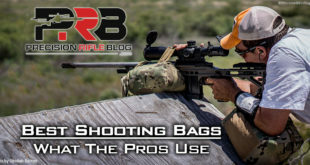 At first, it might seem like there would be a few guys out there that guarantee 0.3 or even 0.25 MOA … even if they had a disclaimer that was only valid if you u se their supplied handloads. Of the 4 or 5 Surgeon Rifles among my friends, I’m not sure any of them aren’t able to shoot 0.3 or better consistently from prone at 100 yards (although some of that is with OCD handloads tuned for that rifle). It’s hard to pull off on EVERY rifle. I’ve heard out of 10 barrels, you might get 1 dud that just won’t shoot near as good as the rest of that lot. More than one precision gunsmith has told me this was true of even the top brands like Krieger or Bartlein. So do you really want to pull off a barrel, throw it in the dumpster, and start over if the rifle shoots 0.27 MOA? They simply don’t want to deal with the jerks that will complain if THEY can’t make their rifle shoot that well. At least for me, it took a lot of practice before my groups shrank into those numbers … and takes a lot of practice to maintain that ability too! A sizable amount of customers might not even be able to hold that, regardless of what the rifle was capable of. You can have some flaws in your fundamental marksmanship, and still shoot in the 4’s (i.e. groups where the extreme spread is 0.40-0.49 MOA), but you better have the major stuff down to get in the 2’s, and you have to be solid all-around to get in the 1’s. My rifle might actually be capable of getting into the 1’s, but maybe I can’t pull it off consistently. That’s the honest truth! Plus, I’ve seen many shooters blame the rifle for a bad scope install, cheap rings, loose base, bad lot of ammo, and a million other things. If they under promise (by saying it will at least be under 0.5 MOA) and then over-deliver (by providing a rifle capable of being in the 2’s), then that leaves the customer a little room for error before they pick up the phone and call to complain. The 2nd scenario is probably the reason most gunsmiths don’t lower that guarantee, if I were guessing. I bet most rifles GAP and Surgeon turn out can shoot far better than 0.5 MOA. At this point, I’d be dissappointed with one of their rifles that didn’t shoot at least in the 3’s. This is just my opinion. I try to leave my opinion out of the posts as much as possible, but it may crop up in the comments occasionally! Once again, if you’re a gunsmith in the know on why this is … please enlighten us! I totally forgot about someone that actually does guarantee 0.25 MOA on their rifles. I talked to this gunsmith, Scott Harrold, on the phone for an hour just last week, so I’m not sure how this slipped my mind … but it did. Scott said one of his mentors, a famous benchrest gunsmith, said something like “Any idiot can make a 6 PPC shoot under 1/4 MOA, but it takes someone special to get a 300 Win Mag do that.” Scott accepted that challenge, and eventually opened his shop, which he named “Quarter Minute Magnums.” That moment must have been calling his shot like when Babe Ruth called his home run during an at bat. Bold move! Here is their guarantee, published right on their home page: “Our ‘Select’ rifles are guaranteed to shoot one inch groups – at 400 yards! Targets and load data supplied with every rifle.” They’ve published pages of rifles they’ve built along with photos of the groups that they shot. It is impressive. They’ve built magnums that can group in the 1’s (i.e. a group’s extreme spread measured somewhere between 0.10 and 0.19 MOA)! It was the first time I’d heard of something like that. Check out their testimonial page as well. Scott has a unique background of training from legendary gunsmiths in the benchrest world and other disciplines, and has applied the same techniques and principles to tactical and hunting rifles. The results are stunning. You can check them out at QuarterMinuteMagnums.com. Yes, they are still in business… Mike @ TacOps picked up the phone personally when I called the first time. 30 minutes later I was sending him a check… give him a call, tell him what you’re looking for and be ready to wait (1-2 years, if you’re not LEO). Thanks for the update. There is always a wait for a good gunsmith, and it sounds like he’s a good one. Lots of people online have good things to say about TacOps, and their results look promising too. To find out a little more about Louisiana Precision Rifles and Tac-Ops for some discussion on this topic, you can go to this post. All you have to do to understand how well the Tac-Ops rifles shoot is look at the test targets that are sent with the rifles they build. This one is very impressive. It is nice that there are enough builders out there putting out exceptional products where even exceptional ones don’t make the PSR list. Yes sir, I thought the same thing. There are a lot of great precision rifle gunsmiths out there. I’m sure there are more than a couple missing from this list. Maybe enough guys will chime in that we will end up with a pretty comprehensive list here in the comments. Tac Ops is a good start! It seems like the focus of the rifle builder has a lot to do with it. While I’m sure that Tac Ops has built a little of everything over the years, their bread and butter seems to be the 308 and more LE/Military calibers. Since these calibers have effectively dropped from use in the elite ranks of the PSR, it makes sense that a builder like that isn’t represented in these statistics. There seem to be more companies showing up with 1/2″ guarantees (like MOA rifles) which have a non-PSR specifc purpose in mind. And thanks again for putting all this together!!! Very interesting! Gordy Gritters is one I think is worth mentioning. Though from another discipline(1000yd br), he has built record holding rifles. His build time can be as long as a year and a half out but he can also do accurizing and semi customs in less time depending on his current work load. He also teaches gunsmithing. Awesome! Thanks, Bob. Like I mentioned in the article, I think you almost want to look for a gunsmith with a big lead time. I know that sounds ridiculous, but sometimes it indicates shooters think so much about them that they’d rather wait an extended period of time for THAT gunsmith rather than make a short-term decision to go with someone that might not be as good, but has a shorter lead time. This isn’t a rule, but if someone is able to get to me quickly it would just give me a little check before I committed. Louisiana Precision Rifles is actually closing it’s doors. I recently talked to Mr. Roscoe, the owner, and he said he had too much on his plate and was getting out of the business onced finished with his current orders. He has already taken his website down. LaPrecision Mr. Rosco flaked. He built good guns, but got a job with the Bossier Parish Sheriffs office training their two snipers. ; ) Go figure. Wow, Jim. Those are some awesome results. Thanks for sharing. I really like that chassis, especially for rifles like the 338 Lapua that traditionally have a very long barrel. It’s a way to make them a lot more maneuverable and practical. Any time table set for the under $1500 scope evaluation? Unfortunately, I have no plans to do that any time soon. I haven’t completely ruled it out, but I’m definitely taking a break from scope testing for the next few months. I am pretty sure John McQuay at 8541 Tactical(YouTube Channel) uses Southern Indiana Precision for his builds, and I am sure he would be happy to provide you with any information. If I recall the owners names is Isaac. Cool, thanks for the tip, Rosco. My rifle from Short Action Customs will do .375 MOA often but not always as rifle belongs to geriatric old fart. For a 71yr old guy who started shooting some 5 years ago this gun is such a thrill. Ha! Thanks for the feedback, Marttti. I’ve heard a couple people say good things about Short Action Customs, and one of my good friends is building a rifle with them right now. Can’t wait to see how it shoots! Thanks for the vote of confidence, and kudos for staying at it and learning new stuff even as a geriatric old fart! Now if I could just get my girlfriend to stand in front of the backboard to show off my knife throwing expertise. Woman has no sense of adventure. I’m not a competitive shooter by any means, but I do appreciate the finer things. I’ve never had formal precision rifle instruction aside from friendly at-the-range advice from buddies who’ve taken classes themselves. My .300 Win Mag built on a Templar action by the fine team at GA Precision regularly shoots around 0.25 MOA 3-rd groups without much effort. My best group to date is a 0.051 MOA 3-rd group at 100 yards. This rifle, plain and simple, makes me look good. I also have no one else to blame but myself for “lousy” groups! Expensive? Yes. Ten month wait? Well worth it! The biggest problems you’ll have after owning a rifle of this caliber are that it will spoil you and you’ll no longer be happy with off-the-shelf production rifles and unless you’re one of the exceptional shooters, it’ll almost always out-shoot you. Carl, the line at GAP is long, but from what I can tell it turns into a long line of satisfied customers. The only thing worse than waiting a year for a rifle is getting one you’re disappointed in! I always tell people you actually want a gunsmith with a long line. It should be an immediate red flag if they can get to you quickly! But honestly 0.25 MOA groups out of a magnum is really impressive. Not just any gunsmith can do that! And 0.051 out of a magnum is some crazy good shooting … you can’t blame all of that on the rifle! S and S Precision in Argyle, Texas! Worth the trip or call. I thought that I would share with your readers a really bad experience that I had dealing with George Gardner at GA Precision and the really great customer service that I experienced recently with the folks at Surgeon Rifles. I noticed that you had Surgeon build your 6 XC rather than the folks at GA Precision and so my story supports the decision you made to go with Surgeon. In early June I ordered an FBI HRT rifle from GA Precision but after doing some additional longer range shooting and reading a lot of your posts I realized that a .308 was the wrong cartridge for my intended purposes so I called GA Precision to change the order from the FBI HRT rifle to a Hospitaller chambered in 6.5 Creedmoor. This was 2.5 weeks after I placed the original order. An order they claimed they would not be able to produce and deliver to me for 6 months! I was still going to purchase a rifle from GA Precision but just wanted to change the model and caliber. They said that they would have to charge me $200 to change the order. You’ve got to be kidding after 2.5 weeks! So I sent several correspondences back and forth to George Gardner the owner of GA Precision. Now George may be a really, really good gunsmith but he’s a lousy businessman who doesn’t understand squat about customer service. I speak from the shoes of a person who owns 2 businesses when I say this. Customer service is everything in business and if your don’t support your customers your business is going to die over time, it doesn’t matter how good your product is. After reading George’s emails to justify stealing my $200 I said to myself screw him and his company and called Surgeon Rifles. I wouldn’t deal with GA Precision again if they were the last and only rifle builders on earth. When I first contacted the folks at Surgeon Rifles I brought up the customer service issue and corporate policies at GA Precision along with the theft of my $200. Consequently, I queried Brian at Surgeon Rifles about their policies. They indicated that mine was not the first complaint that they had heard about GA Precision. They were surprised that George Gardner was drawing such a hard and fast line 2.5 weeks after the initial order when a delivery date was 6 months in the future. So here’s the bottom line, I bought my rifle from Surgeon Rifles, a company with really great customer service, reasonable policies and friendly people, something I cannot say about George Gardner and GA Precision. If your readers are considering the purchase of a new rifle I would strongly encourage them to steer clear of GA Precision. As far as I am concerned GA Precision can rot and their business dry up to nothing because of their ridiculous policies over a product that takes 6 months to produce. Hey, Scott. I appreciate you sharing your experience, but I’m sorry to hear it was so poor. GA Precision seems to have a good reputation in the shooting community, so I’d assume that isn’t typical. Glad you ended up with a rifle you love. My last rifle, as far as I know it was assembled by our senior 18B. It was a Remington 700 LA chambered in 300 win mag. It was in a McMillan A5 stock, had an extra long top rail for mounting the pvs22 and a Nightforce 22x scope. Nice rifle but the report was incredibly loud.